Nice and rare industrial chairs model F1 designed by Willy van der Meeren for Tubax, Balgium 1952. 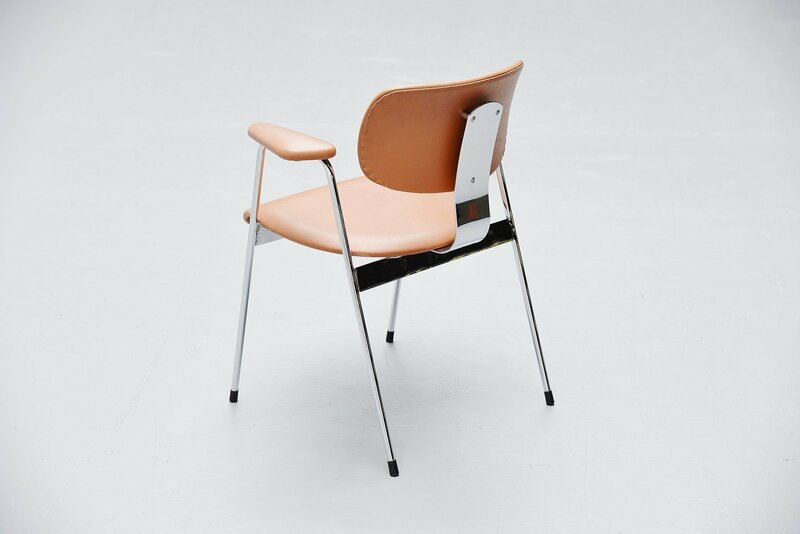 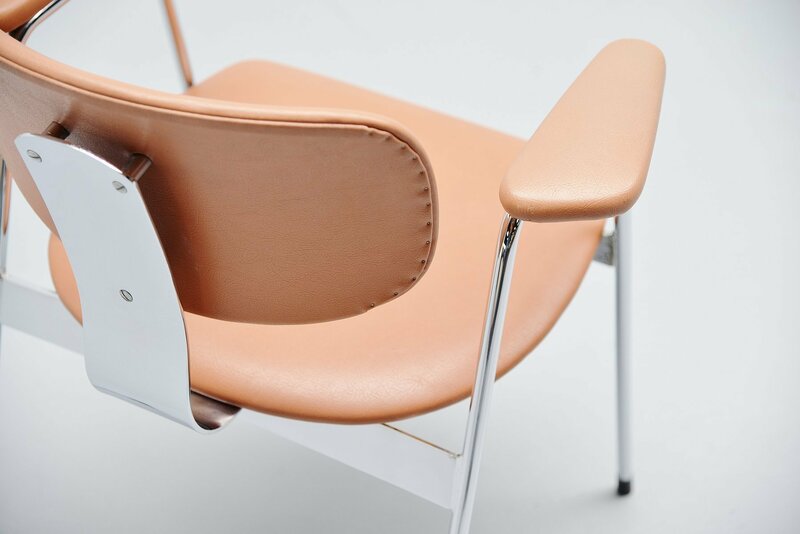 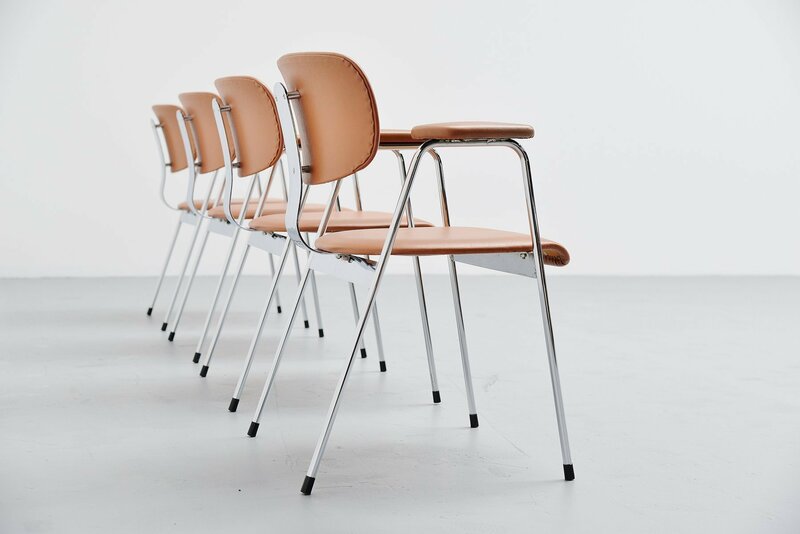 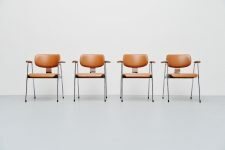 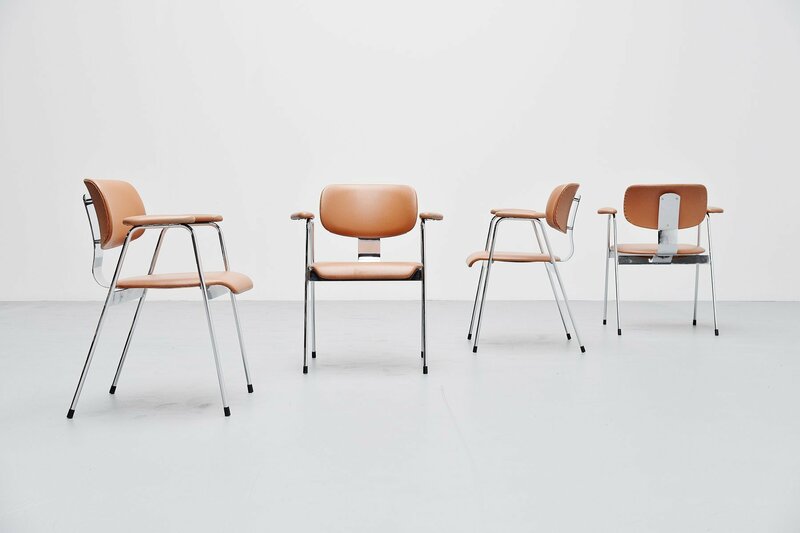 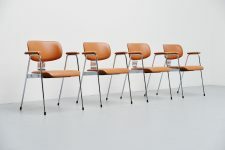 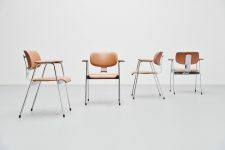 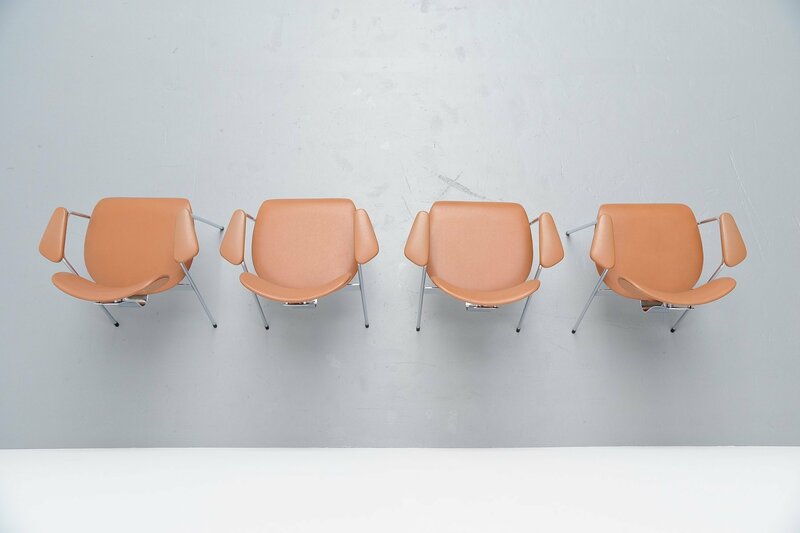 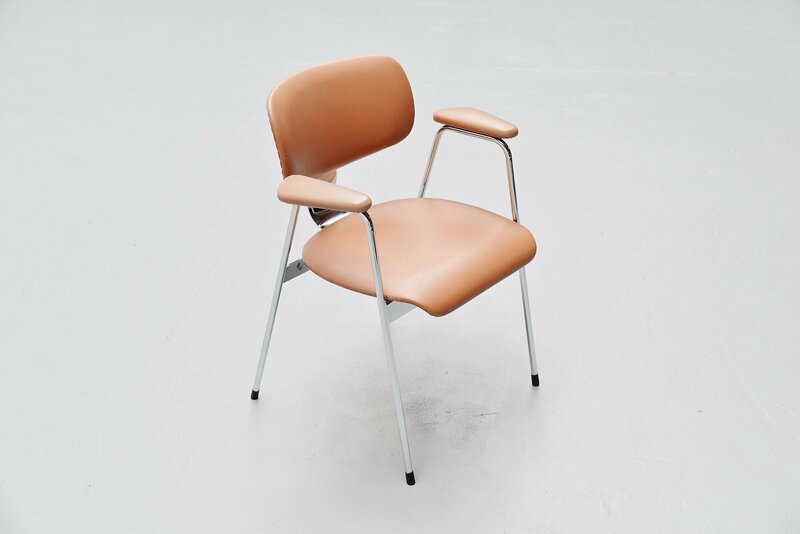 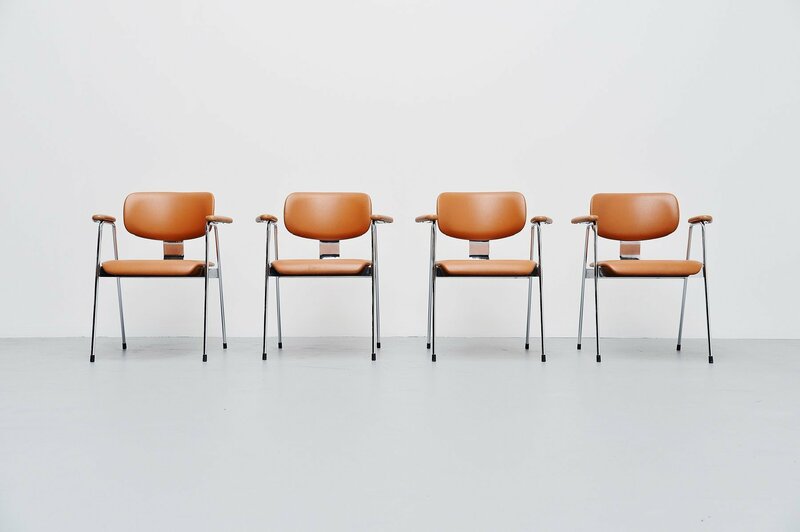 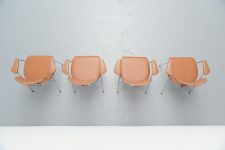 These chairs are very rare in chrome, they are from a later 1960s production and special made for 1 building in Belgium so they are very hard to find in this chrome and salmon color vinyl. 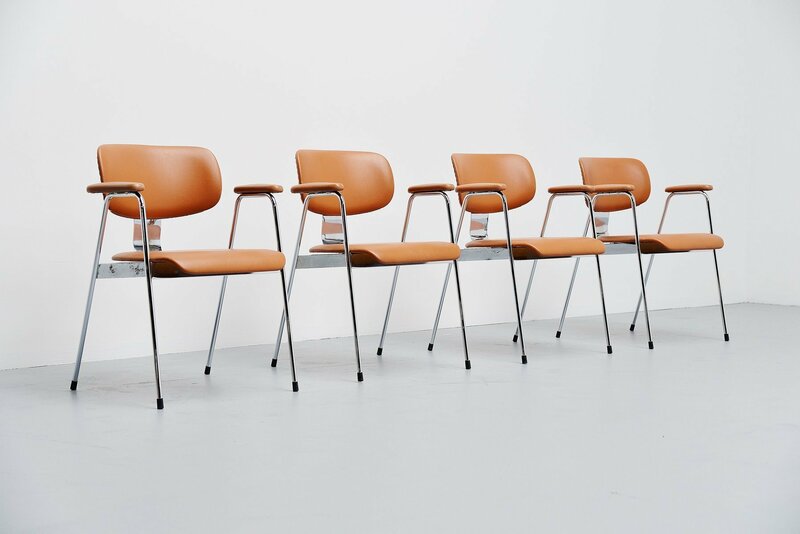 These chairs are in perfect original condition, you would say its impossible after 50 years but its not. 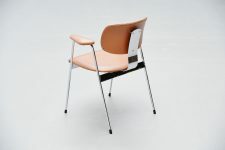 The frames are made of solid metal and in heavy quality. 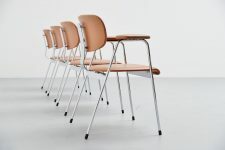 Very nice set of 4 comfortable office or dining chairs.